The Good Arts Collective (GAC) is a member-driven arts organization of local artists, musicians, actors, writers, film-makers, apparel designers and craftsmen which seeks to enrich and strengthen the Twin Cities art scene through collaboration and coordination. By working together and pooling resources and effort, GAC encourages members in their own artistic projects and vision while reaching out to the surrounding community through public works, performances, volunteering and collaboration with other local artists. The Good Arts Collective came into existence in 2014 when a small group of artists, sharing a desire for creative collaboration, came together around an unexpected opportunity to occupy a space within the building of First Covenant Church (FCC). FCC has, in recent years, become a revolutionary voice within their denomination, particularly for their persistent and outspoken message of inclusivity of the LGBTQ community. As a result, space in their building became available as the congregation split over the issue. It was during the height of this transition that many non-profit, community-based organizations in need of affordable space began to find a home in the building. This was when a partnership between a secular, artist-run collective and a progressive faith-based organization became possible, resulting in the Good Arts Collective. Some of the building’s other occupants include Metrokids, The National Association of Minority Contractors, Upstream Health, Free Christian Legal Aid, and a nightly homeless shelter, to name a few. We are proud to be a part of an inclusive community that embraces the new and the radical. For many professional creatives, finding affordable space in which to develop their art is a primary obstacle. 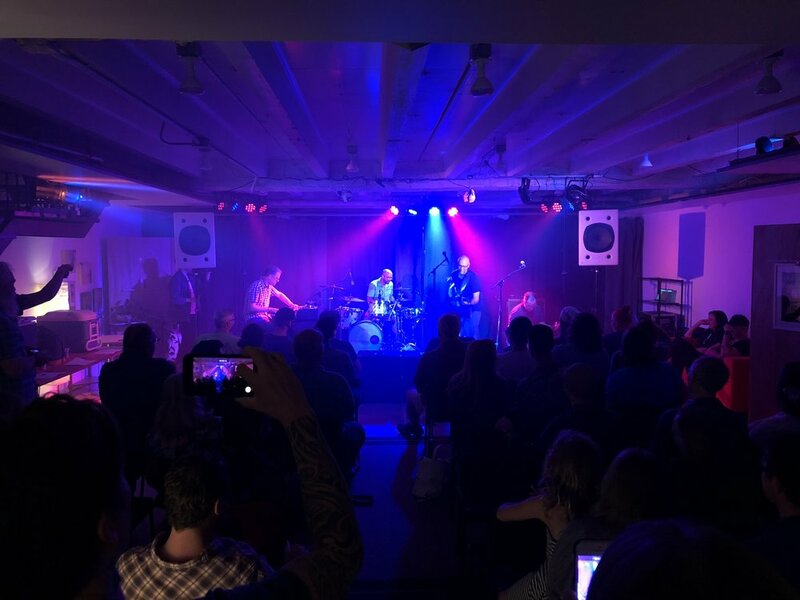 The Good Arts Collective seeks first and foremost to eliminate that obstacle by allowing their members access to a wide variety of rehearsal, recording and performance spaces. In addition, GAC believes art cannot exist in a vacuum, and thus encourages and facilitates collaboration by fostering a strong sense of community through group outreach and social events.